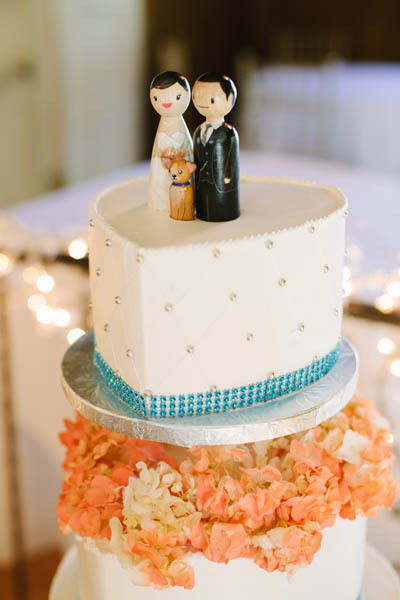 Custom cake toppers are a popular request! 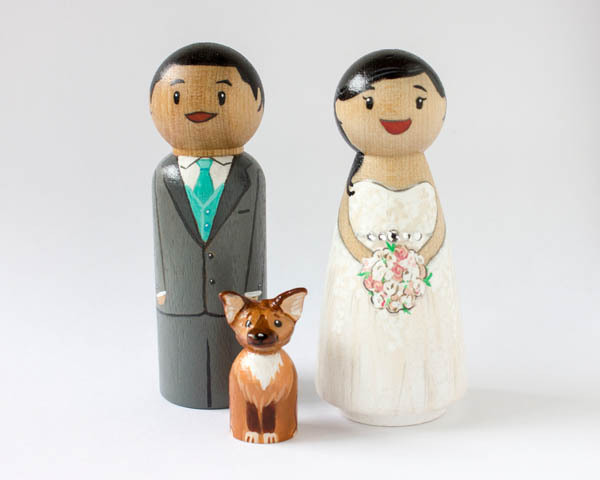 They are hand painted with details that perfectly match the happy couple. I use high quality acrylic paint on hand-turned wood pegs and finish them with durable gloss coating. Making them not only weather proof but also cake proof. Each couple is unique in outfit, colors, hairstyles, facial features, and flowers. I also include extra details such as small rhinestones and metallic paint to perfectly match the bride and groom. And your favorite furry friend shouldn't be left out of the celebrations! Like the couple, each pet is unique and painted to match your adorable fluffball. Interested in a set of cake toppers? Use the form below to contact me about pricing and additional details.